A common theme between our investors is their track record of supporting successful health tech companies. They've given us the resources to build a long-term foundation for our company and we're thrilled to have them with us on this journey! Klass Capital acquires high quality and mission-critical software businesses with great people. Technology is important but the best software companies are built on the relationships and knowledge of long-tenured and experienced teams that have deep roots in their industries. Beyond that, Klass is looking for stable, mid-sized companies with attractive opportunities for incremental growth. Fonds Innovexport comprises fifteen experienced entrepreneurs, as well as the Government of Quebec represented by Investissement Québec, fonds espace cdpq de la Caisse de dépôt et placement du Québec, the Fonds de solidarité FTQ, and Fondaction CSN. They all work together to support the establishment of innovative businesses with the potential of becoming global leaders. Fonds Innovexport also receives financial support from the Economic Development Strategy of the City of Quebec. With commitments of more than $ 65 million in nearly 50 companies and funds, Desjardins - Innovatech partners with other players in the technological field (specialized investment funds, entrepreneurs, financial angels, technological companies accelerators ) contributing And even more so to the impact of SMEs with a promising future with potential for job creation and economic development. Government austerity, delivery costs, aging populations, rampant chronic disease and patient demands are combining to challenge health and social care systems around the world. Observers describe the situation as a ‘perfect storm’ of crisis, but also of opportunity. RecapHealth invests and actively supports world class opportunities and is fortunate to work with partners that include healthcare entrepreneurs, executives, providers, private payers, non profits and governments alike. Established in 2007, Maple Leaf Angels (MLA) is a not-for-profit membership organization. Our mandate is to connect accredited investors and the brightest, most passionate entrepreneurs in a stream-lined process within the larger entrepreneurial eco-system. Maple Leaf Angels’ members are a group of high net worth private individuals who invest in seed and early stage technology companies. While investments are made individually, MLA members enjoy the benefit of best practices and the collective knowledge and networks of the group. 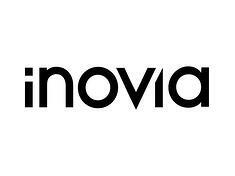 inovia capital is a venture firm that partners with audacious founders to build enduring global technology companies. We seek to transform venture capital by perfecting the craft of investing in people first. We roll up our sleeves to serve founders with dedicated, long-term mentorship, a global talent network and strategic support for global scale. Together, we rewrite the rules of old industries, push technology frontiers and pursue bold visions of a better future. Headquartered in Louisville, KY, Chrysalis seeks to partner with management teams across Mid-America to build businesses with enduring value through technology and active collaboration. Chrysalis manages over $400 million and has invested in more than 70 companies during its 25-year history. Chrysalis partners with talented management teams by providing the business intelligence, market knowledge, deep resources, technological expertise and financial discipline that are critical to success. We take a direct, straightforward approach in our work and our relationships, challenging ourselves and management teams to exceed expectations and deliver superior results.